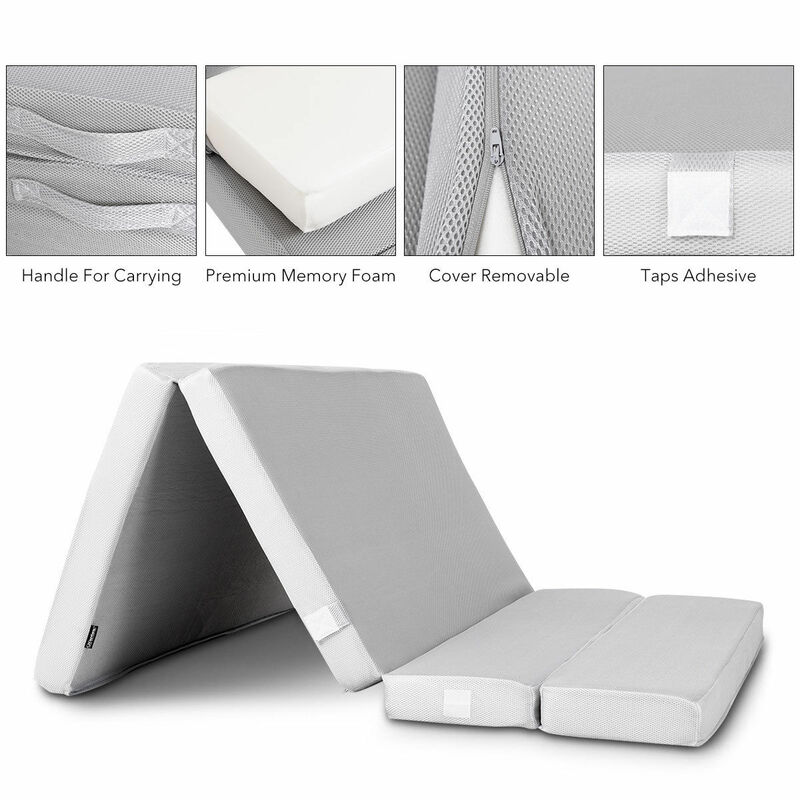 Our brand new Tri-fold folding mattress is combine with comfortable and convenience. You can enjoy a perfect sleep foundation everywhere and anywhere. This versatile mattress bed serves multiple functions and it's super easy to use. A foldable and lightweight design makes it suitable for travel and storage. you can use it as comfortable bed when camping . And it can also provide a comfortable place for guests to sit or sleep.